Executive Resume Services. Eau Claire and Minneapolis Resume Writer. Feather Communications specializes in writing solutions that meet your company's unique needs. Through an individualized and custom approach, Heather Rothbauer-Wanish can develop marketing pieces, annual reports, press releases, and website copy that make your information pertinent, valuable, and targeted to your audience. If you have a newsletter, magazine, or other publication, Feather Communications can assist with article, biographies, or other written communication requirements. Through a one-on-one meeting with each client, Feather Communications discovers the unique challenges each client faces and develops written content to meet those challenges while exceeding expectations. We can work with your business on a per-project basis or through an ongoing contract. 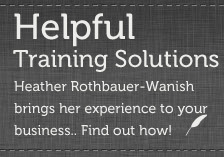 Heather Rothbauer-Wanish is one of only 11 Certified Professional Resume Writers in Wisconsin. Servicing areas from Eau Claire, Wisconsin to Minneapolis and St. Paul Minnesota, Feather Communications can provide the high level of executive resume services you expect from other Minneapolis resume writers. Through the past several years, Feather Communications has assisted many individuals in the job search process in both markets. An initial consultation occurs between the client and Feather Communications. We discuss your past employment experience, educational history, and future career goals. After determining your distinctive needs, Feather Communications will develop a resume and cover letter to meet your requirements. If you have a specific position you are seeking, Feather Communications can design a custom cover letter that makes your information polished and professional. Resume and cover letter proofs are sent to clients via PDF. Feather Communications will make any necessary changes you require and sends final files via Microsoft Word. I recently had my resume done here and I was VERY satisfied!! It took all the stress off of me having to do my own and it looks very professional. An employer who was interviewing me stated that I was chosen first because my resume looked the most well put-together and professional. If anyone wants to make a great impression, I recommend you use Feather Communications! It is well worth it to hire Heather and Feather Communications. 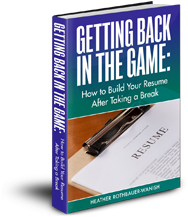 I hired Heather to write my resume and cover letter and received calls right away. I even got a compliment saying my resume was beautiful. I learned that just because you have good filler information for a resume, it really comes down to layout and a specific strategy. The final cover letter and resume was fantastic! © 2019 Feather Communications. All rights reserved.